Active Directory Recycle Bin is a new feature on Windows Server 2008 R2, it can help administrator to recover the Active Directory deleted item. As a before, when administrator delete an item on Active Directory, the administrator need to restore the system state backup. It will make a downtime for restore. Remark: By default, Active Directory Recycle Bin in Windows Server 2008 R2 is disabled. 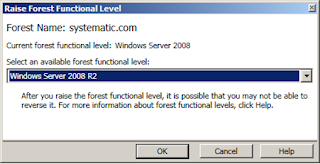 To enable it, you must first raise the forest functional level of your AD DS or AD LDS environment to Windows Server 2008 R2. which in turn requires all forest domain controllers or all servers that host instances of AD LDS configuration sets to be running Windows Server 2008 R2. After setting the forest functional level of your environment to Windows Server 2008 R2, you can use the instructions in this guide to enable Active Directory Recycle Bin. 2. Click "Start", enter "dsac". 3. Select "<Domain> (local), next to "Tasks", click "Raise the forest functional level". 4. Click "OK" three times. 5. 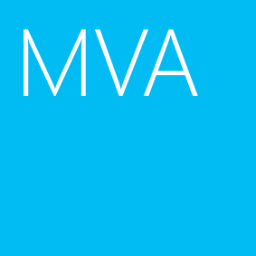 Click "Start > Administrative Tools > Active Directory Module for Windows PowerShell". Remark: After enabling Active Directory Recycle Bin, you can't disable it. 7. Back to "Active Directory Administrative Center", create an OU and name it as Engineer (uncheck protect from acidential deletion). 8. Create a user account and name it as Susan in Engineer OU (uncheck protect from acidential deletion). 1. Still in "Active Directory Administrative Center", delete the Susan's user account. This cmdlet is used to showing the deleted user information and status. Remark: You can input * at (msDs-lastKnownRDN=*), it shows all deleted users. 3. Enter the following cmdlet to restore Susan's account. 4. Back to "Active Directory Administrative Center", refresh "Engineer" OU. 1. Still in "Active Directory Administrative Center", delete the "Engineer" OU. 4. Back to "Active Directory Administrative Center", refresh "<Domain>". As a result, the Engineer OU was recovered, but the users account doesn't restore. You have to restore the users account by above cmdlet.